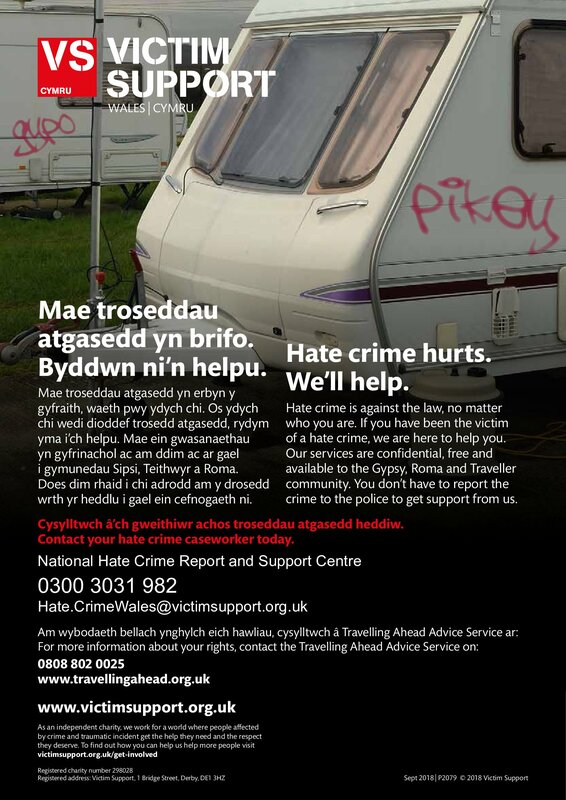 In Wales we are launching a new poster to encourage reporting of hate crime and hate incidents from Gypsy, Roma and Traveller communities. If you have experienced hate crime or discrimination you have every right to report it and to get support. Call us on 0808 802 0025 or post to Travelling Ahead’s Facebook page – we will investigate, follow up and get you support even if you don’t want it reported to the police.